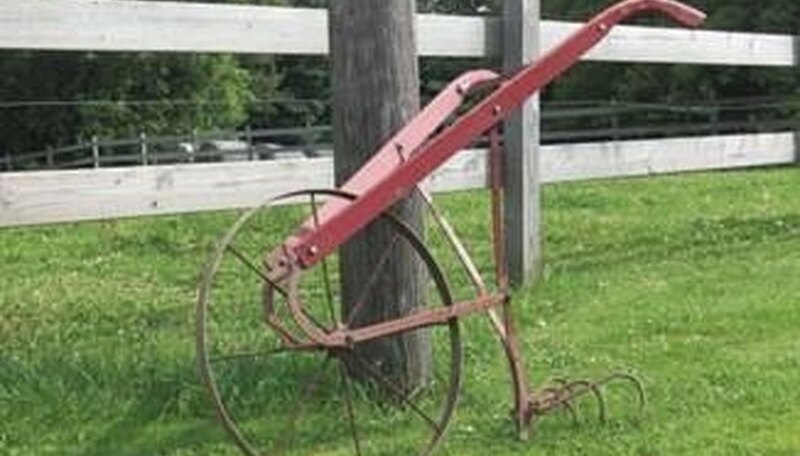 A cultivator is a tool used for gardening and farming. When properly used, a cultivator will help keep soil healthy for the plants growing in it. Different types of cultivator are used for commercial farming and home gardening. Cultivators are used mainly to control weeds but in the process they keep the soil loose to promote air flow and mix in nutrients. Although varying in design, cultivators loosen soil at the surface only and can be used throughout the growth period of plants and crops to remove weeds. There are hand-held cultivators, manual push cultivators, motorized cultivators and tractor-pulled cultivators. Some have prongs while others have disks. The garden hoe is considered a cultivator. All are designed to get in and around plants for weed removal without disturbing the plant. Cultivators range in size from a small hand-held three-pronged rake to a several foot wide piece of farm equipment pulled behind a tractor. Smaller cultivators are used in gardens while the largest ones are designed to cultivate large fields of crops. A cultivator is not to be confused with a plow or till. A plow digs up the soil, flipping the top layer over, then a till works it up. Both tools are used to prepare land for planting.